Calling all sluggers and pitchers! 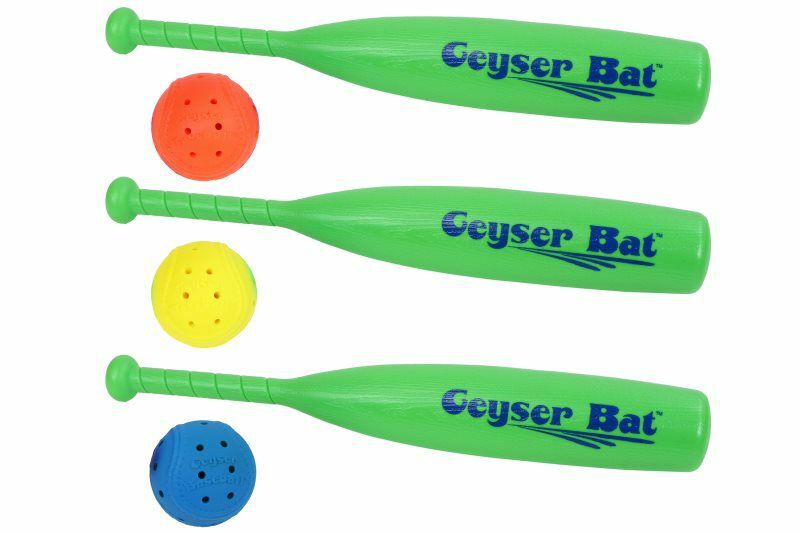 The Geyser Baseball and Bat are the premier companions for all of those looking to add a watery twist to one of America's favorite pastimes. By simply dunking the Geyser Baseball under water, you'll be able to toss and smash a baseball that's capable of spraying water in a ten foot radius. Incredibly versatile by design, the Geyser baseball and bat set can be enjoyed with or without water. 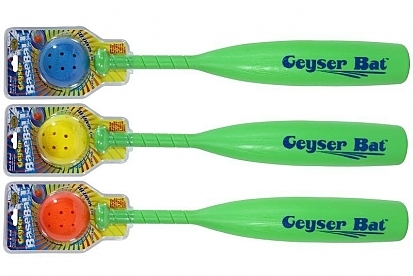 Constructed of a polyurethane material, this baseball can float in water for additional fun. Regardless of where your watery adventures take you this season, the Geyser Baseball and Bat can be enjoyed in a number of interactive and enjoyable platforms.